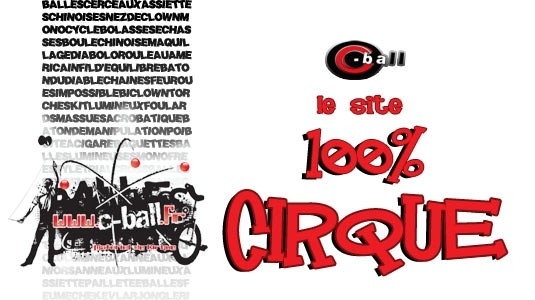 C -BALL a team at your side ! 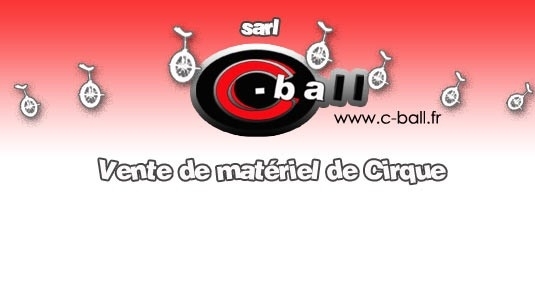 Circus arts professionals for over 13 years before the lack of quality hardware vendors at competitive prices in our region (Lorraine), we decided d'ouvrir our company: SARL C-BALL (Buy / Sell / Location). Our skills as professionals (artists and teachers) are diverse: juggling (balls, clubs, scarves, rings), juggling (plates, diabolos, devil sticks, cigar boxes, Bollas), balance (unicycle, Rolla-bolla, Chinese ball, balance wire stilts), acrobatics, trapeze and clowning expression (accessories and makeup). Our requirements in terms of quality lead us to propose only brands that we know perfectly and the products tested by us: Henry's, MISTER BABACHE, BEARD, LARIBOULDINGUE, QU-AX, KOXX-ONE, NIMBUS, VOLTIGE, AEROTECH , ACTIVE PEOPLE, QUALATEX, GYMNOVA, POWERISER, KRYOLAN, PREAU, LUNASTIX, PLAY, SUNDIA. We teach circus arts in one of the few circus schools "hard" of the North-East of France: the school of the Red Nose. The leisure structure is in place for nearly 10 years. It welcomes both children from 3 years as teenagers or adults. 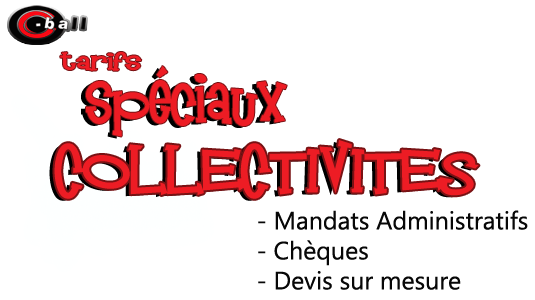 She works with a variety of audiences, in partnership with different structures: schools, colleges, universities, community centers, MJC, day hospital, specialized educational centers (ITEP, SESSAD) (Alsace, Vosges, Meurthe et Moselle, Moselle). Used by many professionals (animators, educators, nurses, d'EPS teacher, school teacher, psychomotor ...). RacksWe circus entertainment. Our business artist's led us on the road festivals, conventions, courses .. Some councils, committees of companies, tourist offices, associations, trust us.